Trusted name in private transfer, Thai Happy Taxi stands for professional service and competitive rates. For day out with your family and friends. Drivers drive with care and offer flexible service for you to enjoy your Thailand trip is such a personal way. All year round, Thailand never ceases to amaze. 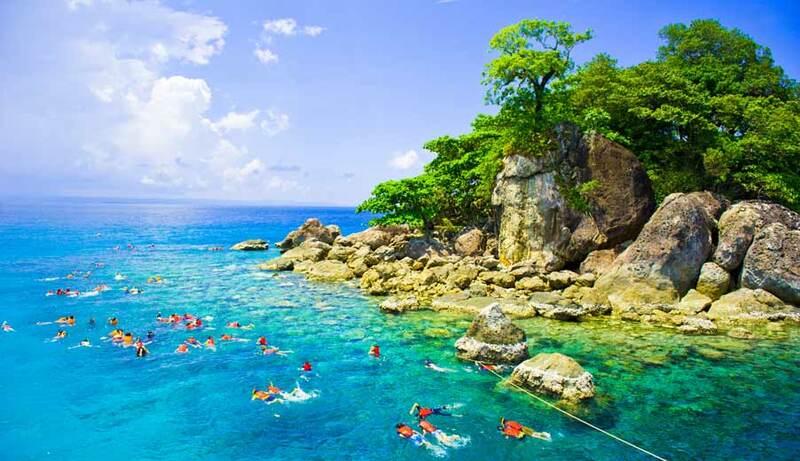 With a unique mix of people, culture, and landscape, Thailand draws millions of visitors over each year. Thai Happy Taxi is a leader in Bangkok airport transfer and nationwide transfer and tours service, catering to all your transfer needs in Thailand. Baby seat, meeting point, drop off zones, and other questions regarding our taxi Bangkok airport and nationwide as well as our tours service. - we appreciate them all. At Thai Happy Taxi, we take our service and reliability seriously. 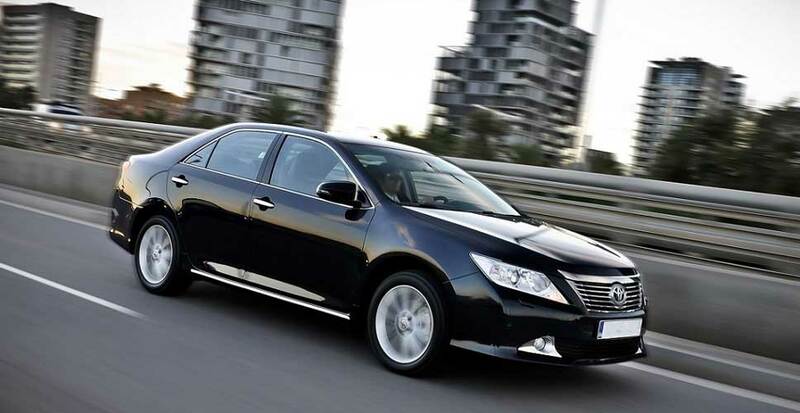 Our Bangkok airport transfer and taxi Bangkok to nationwide are a top user rated service. Our Bangkok airport transfer service offers pickups 24/7. So you don't have to worry whether your flight lands in the afternoon or after midnight, we can offer pickups at any time - no problem. Our driver will be at the meeting point - holding up your name, checking the flight progress, waiting until the meeting occurs and taking you to the car for direct Bangkok airport transfer into the city. 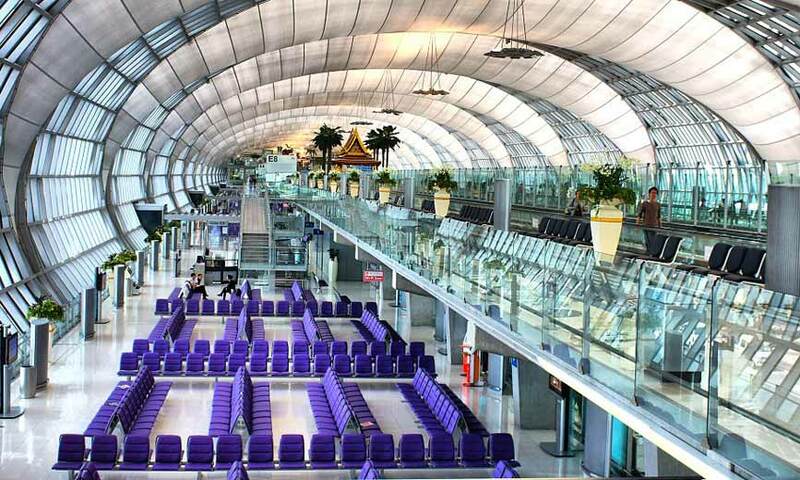 Our Bangkok airport transfer service also offers pickups from the city to the airport. Whether you're in the central areas such as Sukhumvit, Silom, or Ratchada; or you're further out in the suburbs, the driver will pick you up directly from your hotel or your residence and take you directly to the airport. Our taxi Bangkok to nationwide service can take you to almost anywhere in Thailand. 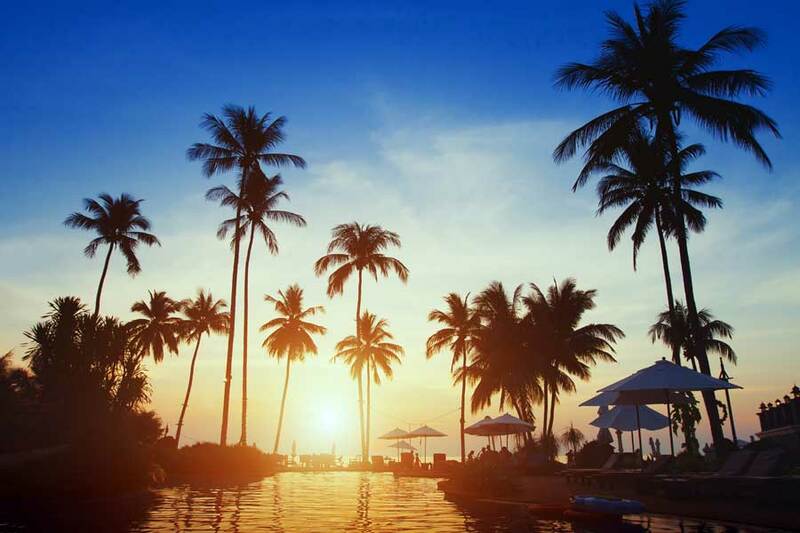 No matter if you need to travel to the nearby, popular holiday cities such as Pattaya or Hua Hin, or if you need to travel to other holiday spots such as Ayutthaya, Amphawa, Kanchanaburi, or Khao Yai, our taxi Bangkok to nationwide offers service to all these places. And of course we offer the return service to Bangkok as well. And if you are having a holiday on the island, our taxi Bangkok to nationwide covers the islands. The driver can board the ferry with you and drop off right at the hotel in case of Koh Chang. Or - when the ferry is not available - we can drop off at the pier in case of Koh Lan, Koh Samet, Koh Mak, Koh Kood. Lastly, long trip is also possible with our taxi Bangkok to nationwide service. We can offer the service to Chiang Mai or Chiang Rai, both direct transfer or stopping along the way for multiple-day trip. 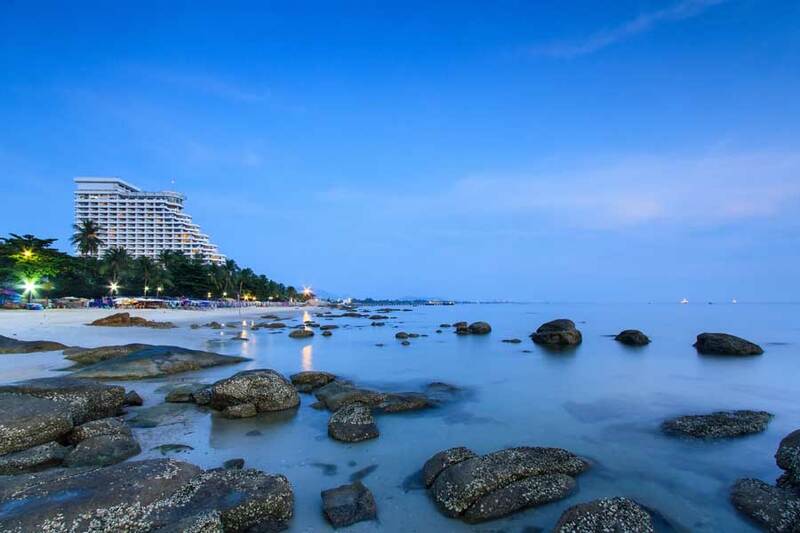 We offer service to Aranyaprathet for your connection to Siam Reap, to Hat Lek for your visa run, and to Koh Samui and Phuket as your alternative to flying. You can contact us via email thaihappytaxi@gmail.com, call us at +66(0)8 4115 8210, or use our online booking form. You can rest assured that whatever you travel need maybe we'll always do our best in giving you the most reliable, convenient, and competitively priced service. That's our promise to all our customers! It's super easy to book a cab for private transfer in comfort and style from Bangkok to anywhere in Thailand. The reclining buddha. Our Bangkok taxi and tours service takes our guests to Ayutthaya Historical Park. Lost in the yellow field! Our Bangkok taxi and tour service takes the lovely guests to the lovely Lopburi Sunflower field. Row row row the boat. Our Bangkok taxi and tour service takes you to Klong Kone, Samut Songkram. Big family, big day out, our Bangkok taxi and tour service is ready. Thai food, yummy! Our Bangkok taxi and tour service can connect you with many authentic restaurants. Smile before you board! Enjoy the nice car with our Bangkok taxi and tours service. Our lovely couple guests take the trip with our Bangkok taxi and tours service to the beautiful temple ruins at Ayutthaya Historical Park. Thumps up all round. The nice family enjoys riding on a golf cart at Bang Pa In Palace, Ayutthaya. Mr Kan with his guests - River Kwai, Kanchanaburi. 3 hours from Bangkok with our Bangkok taxi service. Beautiful view at Phratamnak View Point, Pattaya. About 2 hours from Bangkok with our Bangkok taxi and tours service. Long-tail boat adventure. 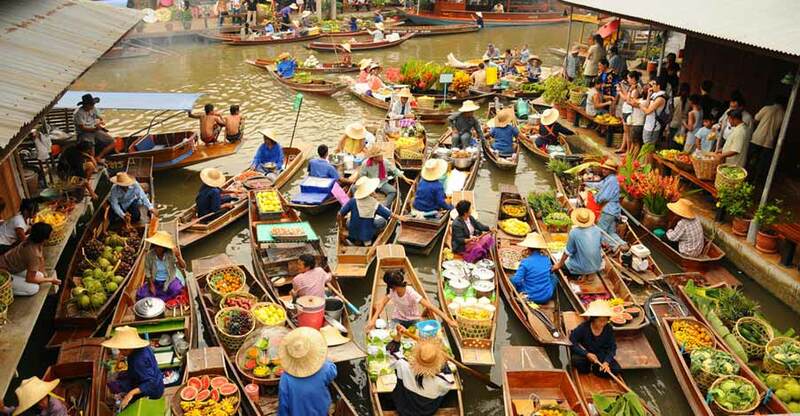 Our Bangkok taxi service connects the guests to Damnoen Saduak Floating Market, Samut Songkram. Green giant! 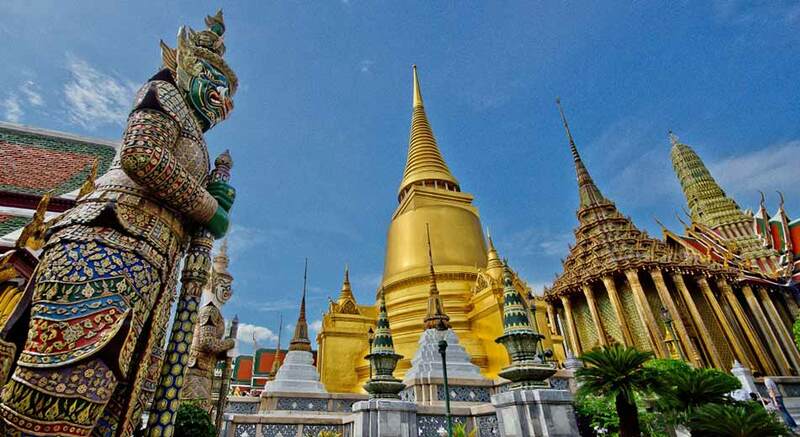 Our Bangkok taxi and tours service take the guests to the must visit Wat Phra Kaew in Bangkok. Elephant riding. Our Bangkok taxi and tours service can take you to many Elephant riding spots. Thai Happy Taxi Bangkok taxi and tours service.